Jamaica’s reggae music industry’s crème-de-la-crème consisting of several artistes, composers, and promoters were awardees of the Reggae Sumfest’s inaugural Inspire Awards, which were held in a grand red carpet affair at the Iberostar Rose Hall in Montego Bay on last Thursday, July 19 2018. 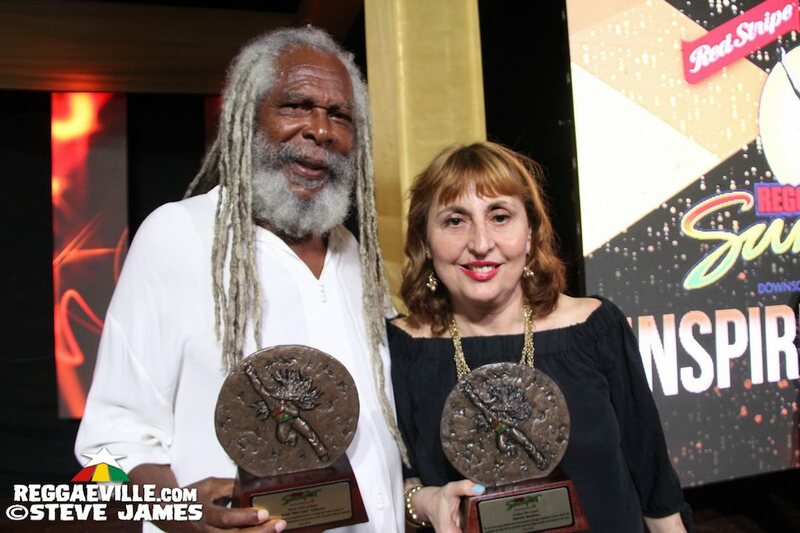 The Reggae Sumfest Inspire Awards is aimed at honouring selected individuals and groups who have made significant contributions to the growth of Reggae Sumfest over the years and the development of Jamaican music in general. Among the awardees was the legendary lyricist, composer and singer Bob Andy. Andy was lauded as having inspired the sounds of many artistes and for being one of Jamaica’s finest musicians. Midway in the event he thrilled the audience in a superb set crooning some of his hits such as Too Experienced and I’ve Got To Go back Home. Island Records’ Chris Blackwell was applauded for his stellar contribution to what has become the international recognition of Jamaican music including Ska, while his colleague Copeland Forbes, was recognized as being one of the longest serving artiste managers in the Jamaican music industry who, among other things, influenced the careers of a host of Jamaican musicians including Bob Marley, Third World and Black Uhuru. The Riddim Twins, Sly & Robbie were cited as two of the most outstanding talents to emerge from the Jamaican scene over the past 40 years. The two-time Grammy winners were unavoidably absent but expressed their gratitude via a video message. The Lifetime Award went to the undisputed king of Lovers Rock, Beres Hammond "for his lifelong dedication to Reggae Music and his contribution to the development of the Jamaican Music Industry for 40 Years". On the flip-side, the youthful Chronixx, also absent, was befittingly named Reggae Sumfest’s Rising Star, which is an award bestowed to an artiste under 30 years old who “shows dedication and motivation who has performed at Reggae Sumfest at least once". 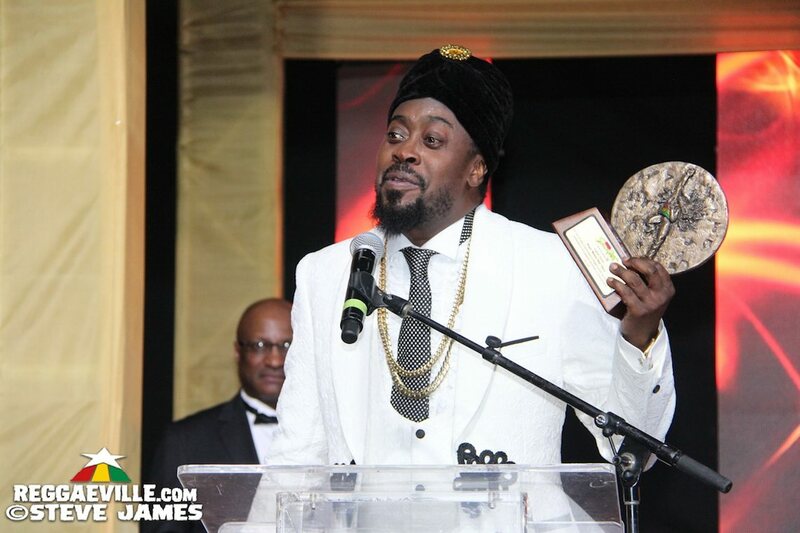 King of the Dancehall Beenie Man was conferred the title of Sumfest Legend and responded with delight, while the Golden Pen Award was presented to journalist Patricia Meschino who has consistently advocated for reggae music for more than 22 years and has written some of the most memorable articles on Jamaican music. In addition three Jamaican media practitioners, Marlon Tingling, Alan Lewin and Winford Williams, were given special awards for their support of the music festival since its inception. Food is a key part of any entertainment event and consequently Montego Bay home girl and food vendor Hermine Shaw was specially honoured for “putting the food into the festival for 25 years”.